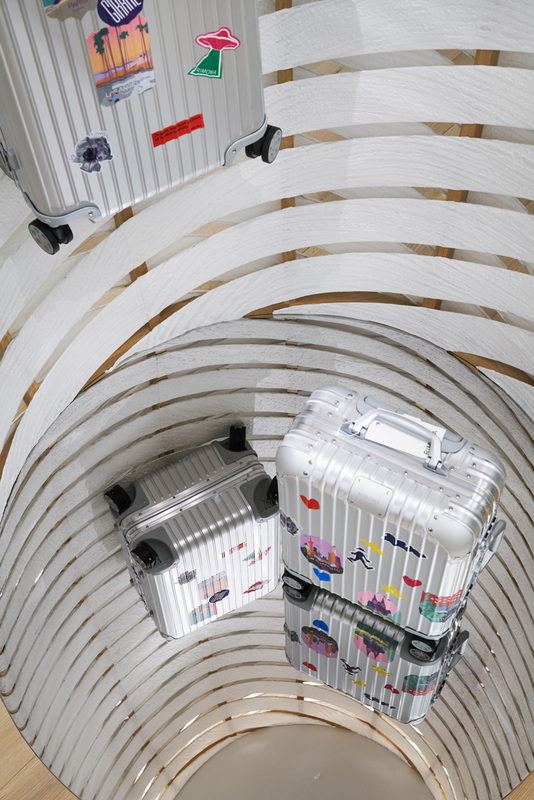 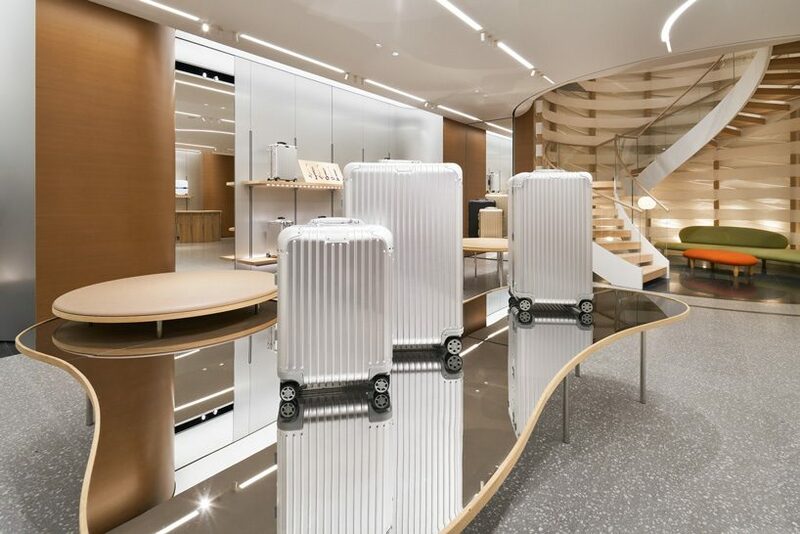 vienna-based design & architecture labvert has completed RIMOWA‘s flagship store on the main shopping street of the ginza district, tokyo. 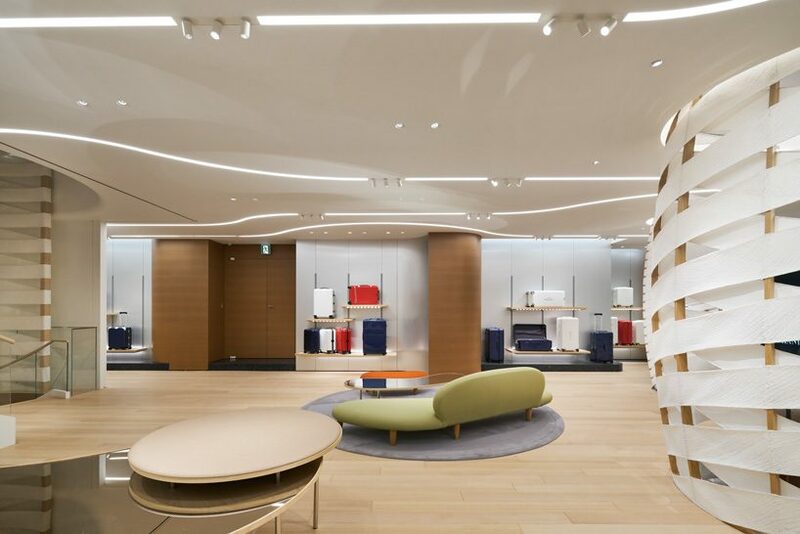 the 500 sqm retail landscape blends western design with japanese cultural traditions in a minimalist space that focuses on the essentials of the legendary german luggage manufacturer. 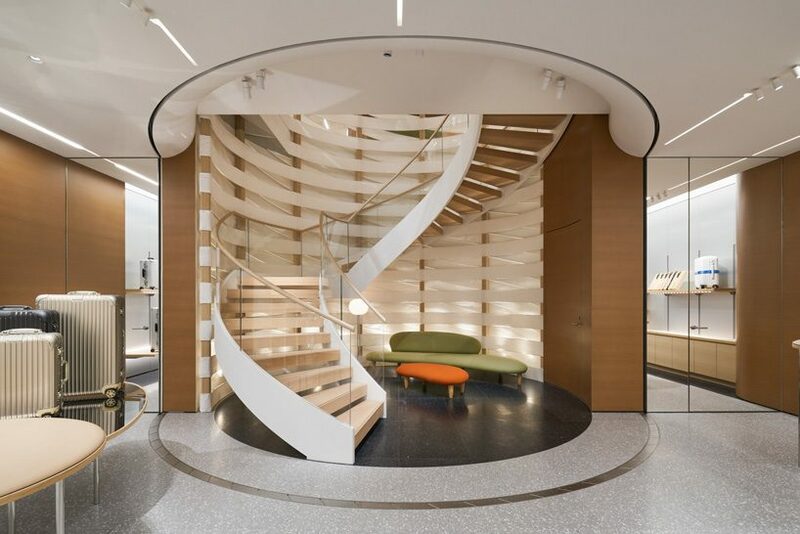 under the direction of stephan vary, labvert has created a zen-inspired interior, drawing from japanese rock gardens, and especially from the famous zen garden ryoan-ji. 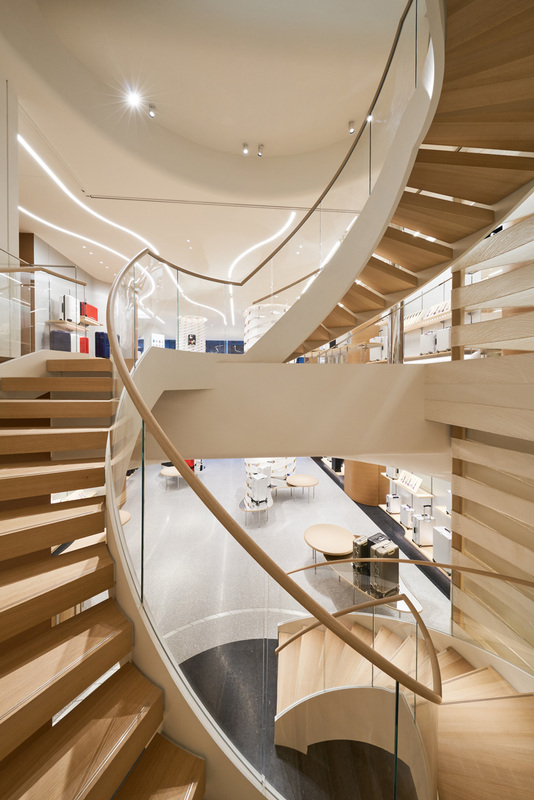 sweeping, dynamic lines run through the store, while woven room dividers connect the two floors vertically and create a point of attraction within the room. 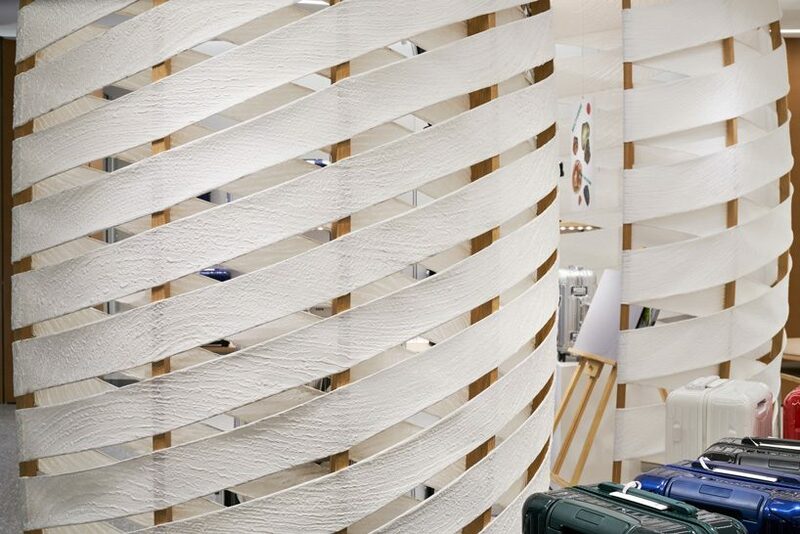 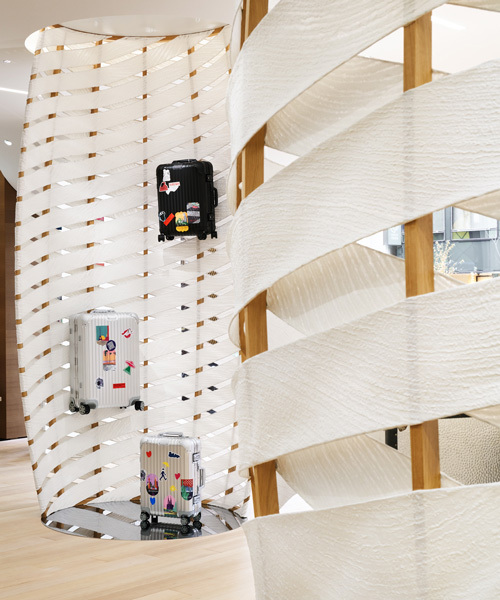 the baskets are a modern interpretation of japanese handicraft, referencing the traditional shoji – the sliding doors or room dividers made of bamboo and translucent paper – forming intricate braids made of filigree oak wood slats and handmade washi paper. 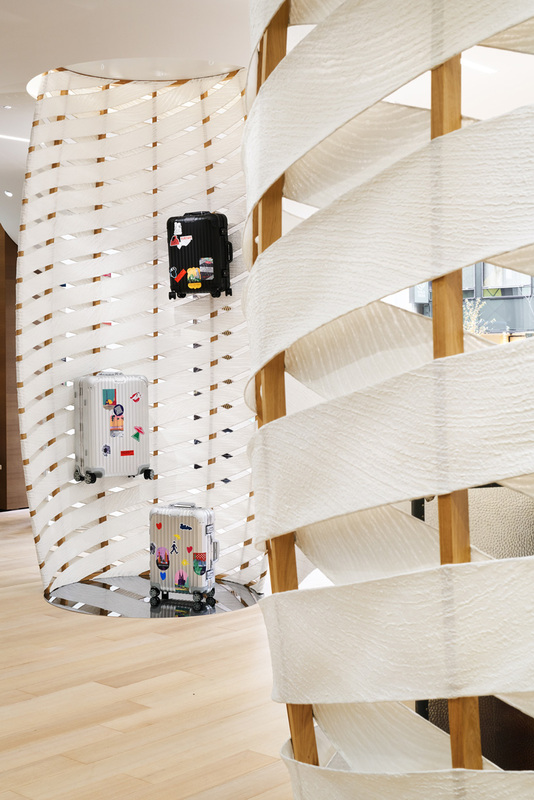 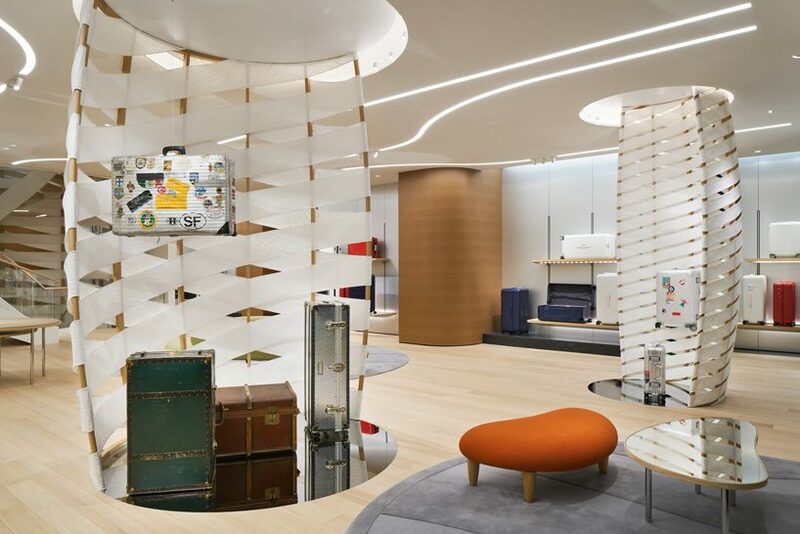 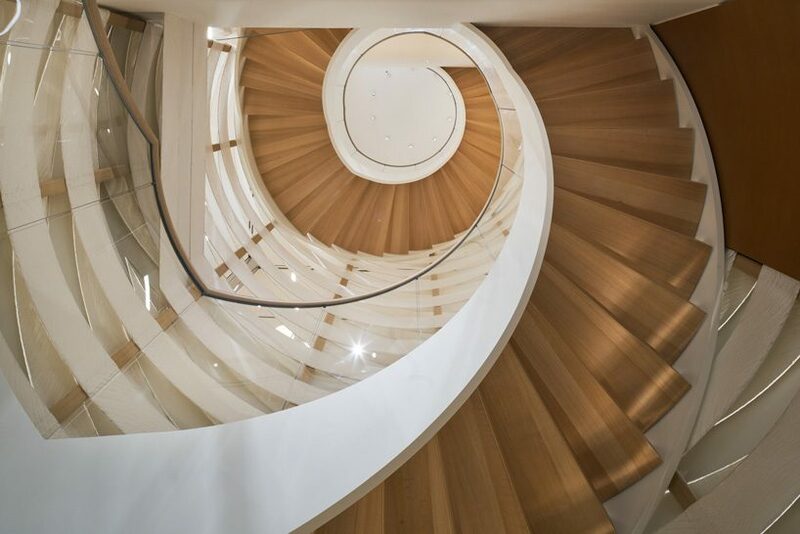 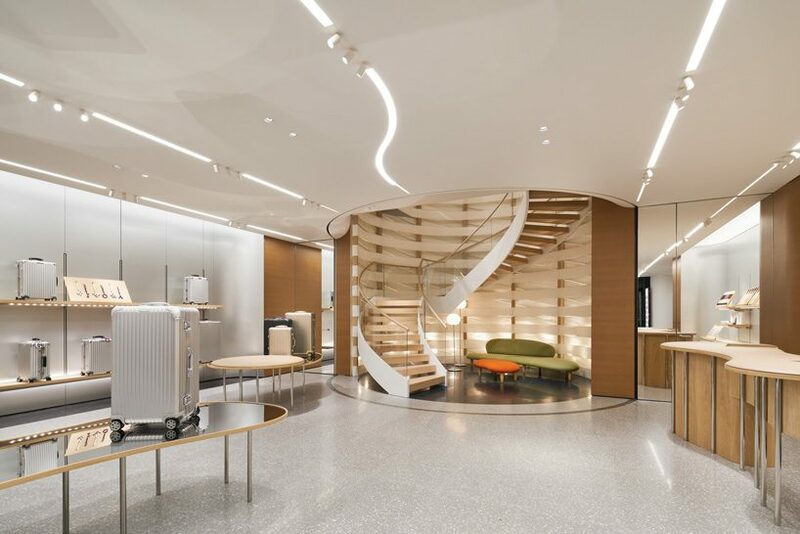 a sweeping staircase leads to the upper floor as a continuation of the flowing lines, where customers can find the client care center and the in-store workshop, which, separated by a large glass wall, offers full insight into the craftsmanship of the suitcase manufacturers. 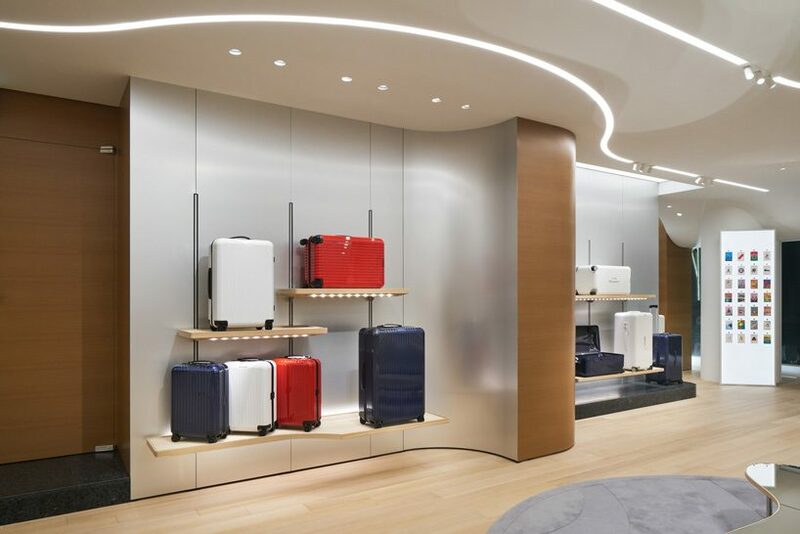 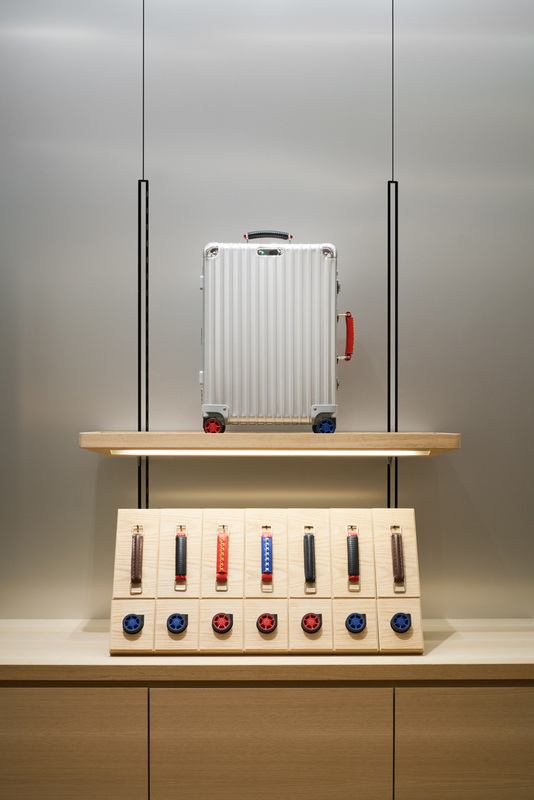 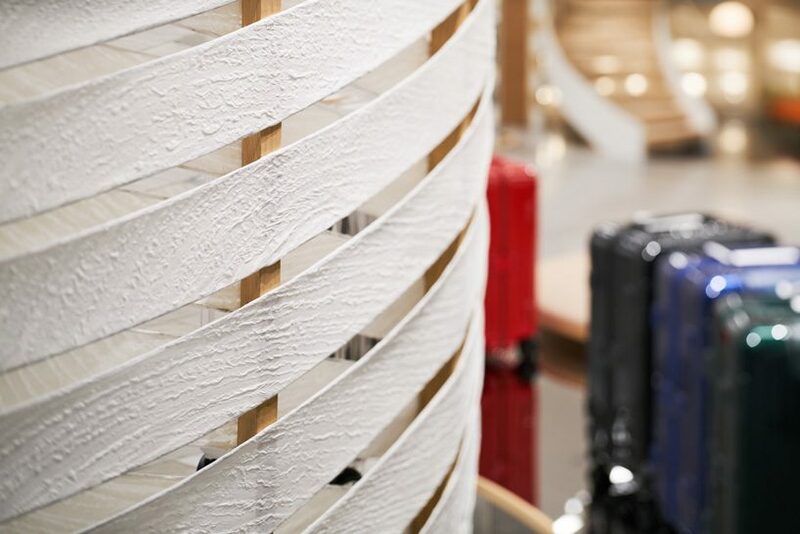 selected materials add to the bright, minimalist atmosphere of the shop and create a quiet background for the focused presentation of the suitcases. 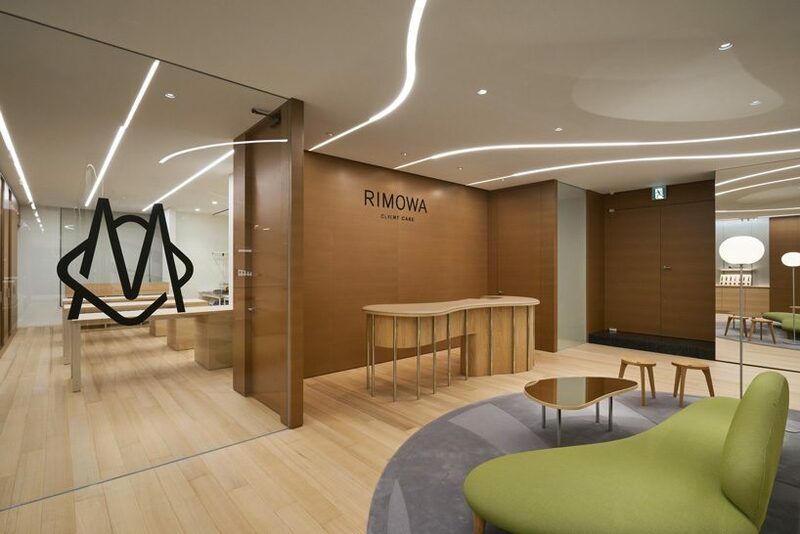 subtle contrasts between flowing and angular, as well as different materials, such as warm wood to cool metal, communicate the contrast between modernity and selected quotes from the rich cultural heritage of japan. 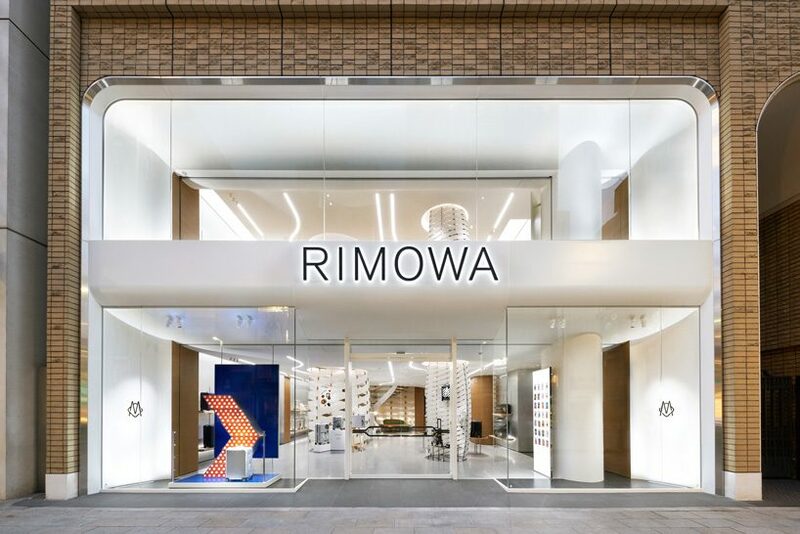 address: yamato building, 7-9-17, ginza, chuo-ku, tokyo, japan customer: RIMOWA japan co., ltd.